Sam Cooper Realtor with HER Realtors just sold a Westbriar Hilliard OH Home. Sam Cooper sold 3112 Bennison Ct. Hilliard OH 43026 in July 2013 for a selling price of $253,800. 3112 Bennison Ct. is a 4 bedroom, 2-story home located on a cul-de-sac with a backyard which borders a community park and walking path. This Hilliard OH home features a large amount of gorgeous updates, including remodeled kitchen with stainless steel appliances, luxurious master bath, professionally finished basement, and large deck with gazebo. If you know anyone that may be interested in selling or buying a Westbriar Hilliard OH Home, please have them contact Sam Cooper HER Realtor. 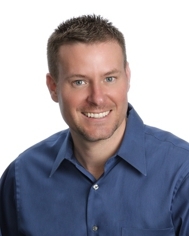 Sam Cooper is one of the top agents in Hilliard OH. A Top Agent in Hilliard OH! Find Hilliard, OH Homes for Sale. Contact Sam today! Edgewater Hilliard OH, Homes in Contract, 1962 Dry Wash Rd.